Family Night Press, 9780997853308, 190pp. It's your aging journey. Shouldn't you be in charge? That last act of our lives can last for decades. But when it comes to planning for this often-challenging time, too many of us have our heads in the sand. We know the day may come when we are no longer able to manage our lives independently due to aging, injury or illness, but still delay disclosing vital information until it's too late. As a result, we cede control of how we live and even how we die to family members or sometimes strangers, leaving them to guess what we want going forward without the legal directives and financial resources they need to assist at this difficult time. It's painful and unfair for everyone involved. Luckily, it's also entirely avoidable. 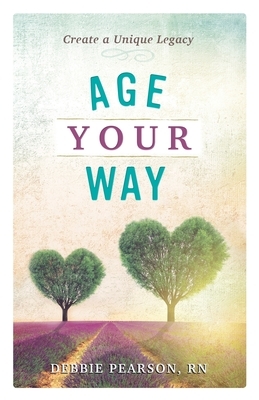 Featuring real-life stories of patients and families at every stage of the aging process, Age Your Way is more than a book--it's a program to help you take control of your final act, document your preferences, and provide your loved ones and caregivers with the information they need to both manage your care and honor your unique wishes for living and dying. Debbie is a native of Austin, Texas and a graduate of Brackenridge Hospital School of Nursing and University of Texas School of Nursing. She has spent her entire career in her beloved Austin, where she continues to live with her husband, Hank. She has three children, eight grandchildren and a large extended family.